Today I Got it @ Kuchai Entrepreneur Park ! So Nice Purple In Dark shade, kind A elegant stuff !! "Royal Purple" Glass are out on the market. 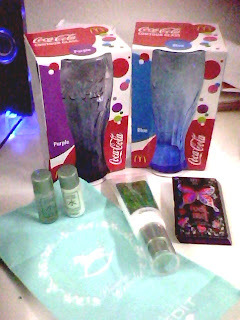 we went to The Mines Shopping Mall, And planned to have our dinner @ McD. 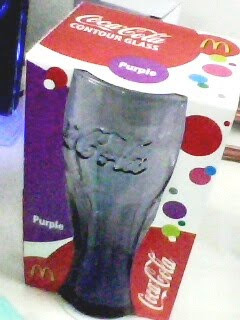 then the counter got purple and blue color contour glass to be choose..
should i take my lovely purple color / blue color ???? The blue color was attracted my eye ! But I wan The purple. 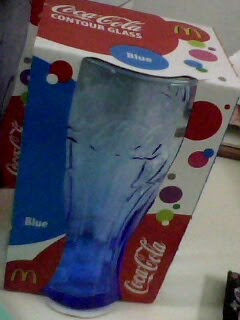 so confused in My Mind..
Seen The Blue is a Limited Edition For Long Time Ago, Should Take That 1. So As A Conclusion, Dear Dear Bought Me 2 ConTour Glasses ! Now I can try N See the result/texture/Scent. reddish on my cheek, Bump In cheek also. b4 goes to other concern like"whitening","pore minimized".. The pricewise also very affortable. 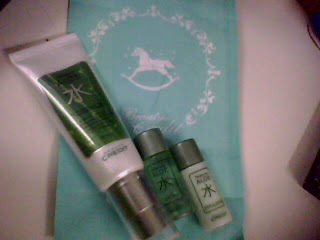 This essence only : RM40.90 with 2 small trial(Emulsion&Lotion) in same range. Thanks All From My weekend, Good Night!